AAW Games is pleased to announce procurement of a license through Pinnacle Entertainment Group to publish Savage Worlds compatible products. If you're a fan of Savage Worlds or have been wanting to try out a new system you'll soon have some new and exciting adventures from AAW Games in PDF, print, or via the Fantasy Grounds virtual tabletop. AAW Games already has a small number of Fantasy Grounds modules compatible with Savage Worlds available on Adventureaweek.com, Steam, Fantasy Grounds, and DriveThruRPG / RPGnow. Expect PDF, print, and more Fantasy Grounds products to begin releasing near the end of 2018 and continue all throughout 2019. 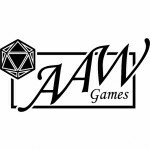 AAW Games is a tabletop game publisher located in Snoqualmie, Washington. Popular published works include Mini-Dungeon Tome, Rise of the Drow, Snow White, Aventyr Bestiary, and Into the Wintery Gale. The latest Kickstarter Rise of the Drow: Collector's Edition for D&D 5th Edition or Pathfinder RPG will be launching next, join the Facebook group or email newsletter to be notified when we launch. Pinnacle Entertainment Group has a Kickstarter running now for their latest Savage Worlds game system book, back it here! 2 HOURS LEFT TO PLEDGE! Mini-Dungeon Tome Kickstarter ending soon!